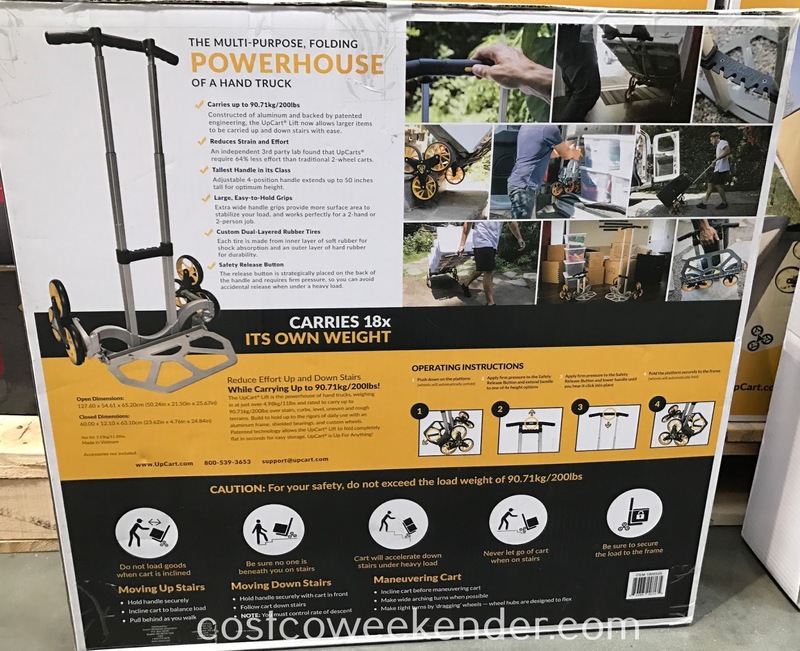 If you're going to be transporting a lot of stuff, then you probably have a hand cart for those really heavy items. A cart that folds completely flat for easy storage is key so you can keep it in your car for example. But a cart that can easily go up and down stairs is a bonus! 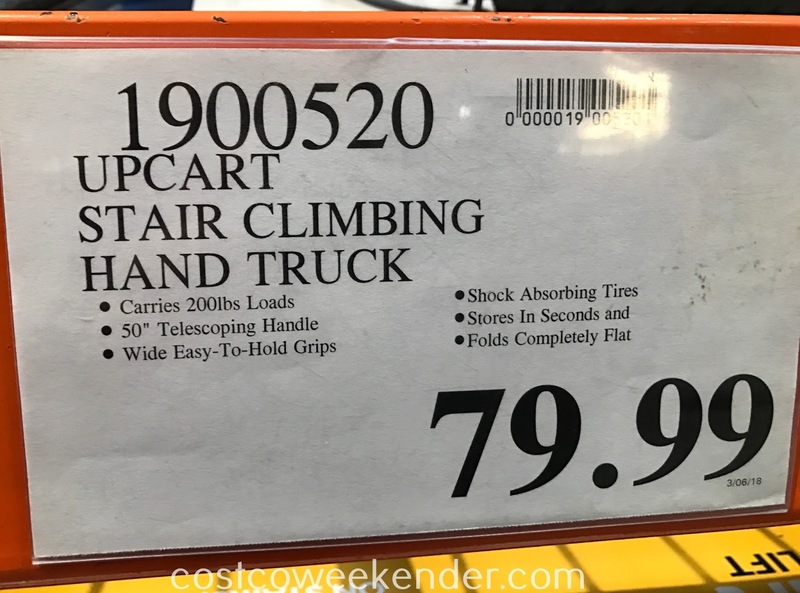 The UpCart Lift Stair-Climbing Hand Truck from Costco is a great tool. Lift and maneuver 200lbs with reduced effort on stairs. The dual-layered rubber tires provide shock absorption and durability. The cart features a 4-position handle with extended grips and adjustable height up to 50 inches. If you're going to be moving homes any time soon, better get the UpCart Lift Stair-Climbing Hand Truck. It'll make your life just a bit easier. 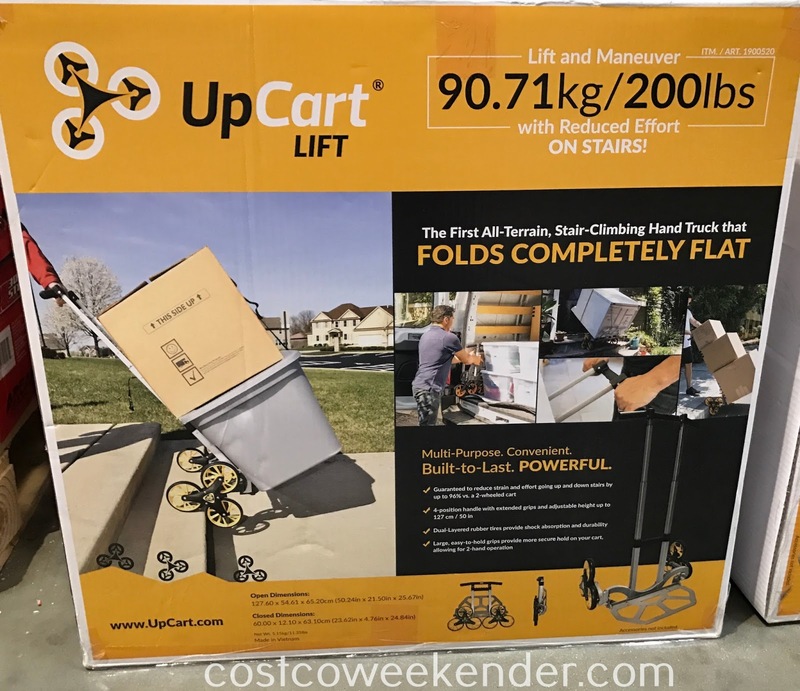 The UpCart LIft is the powerhouse of hand trucks, weighing in at just over 11 lbs and rated to carry up to 200 lbs over stairs, curbs, level, uneven and rough terrains. 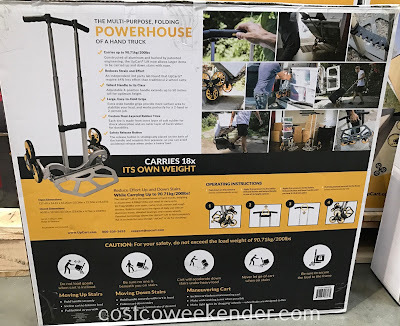 Build to hold up to the rigors of daily use with an aluminum frame, shielded bearings, and custom wheels. Patented technology allows the UpCart Lift to fold completely flat in seconds for easy storage. UpCart is Up For Anything! Constructed of aluminum and backed by patented engineering, the UpCart Lift now allows larger items to be carried up and down stairs with ease. An independent 3rd party lab found that UpCarts require 64% less effort than traditional 2-wheel carts. Adjustable 4-position handle extends up to 50 inches tall for optimum height. Extra wide handle grips provide more surface area to stabilize your load, and works perfectly for a 2-hand or 2-person job. Each tire is made from inner layer of soft rubber for shock absorption and an outer layer of hard rubber for durability. The release button strategically placed on the back of the handle and requires firm pressure so you can avoid accidental release when under heavy load.